Essential reading for anyone thinking about moving to Spain. Don’t even think of Moving to Spain with Children without reading this essential self-help manual. Compiled by a successful British working Mum who has experienced the relocation roller-coaster for you, the highs, lows and occasional shrieks of panic, it could save you months of hassle and heartache. …And other considerations crucial to ensuring a smooth transition to your new lifestyle. With information that’s bang up-to-date, Lisa “tells it like it is”. Spiced with the author’s own heart-warming anecdotes, you’ll arrive at the same place her own family is now – but in half the time: Living and loving family life in Spain! 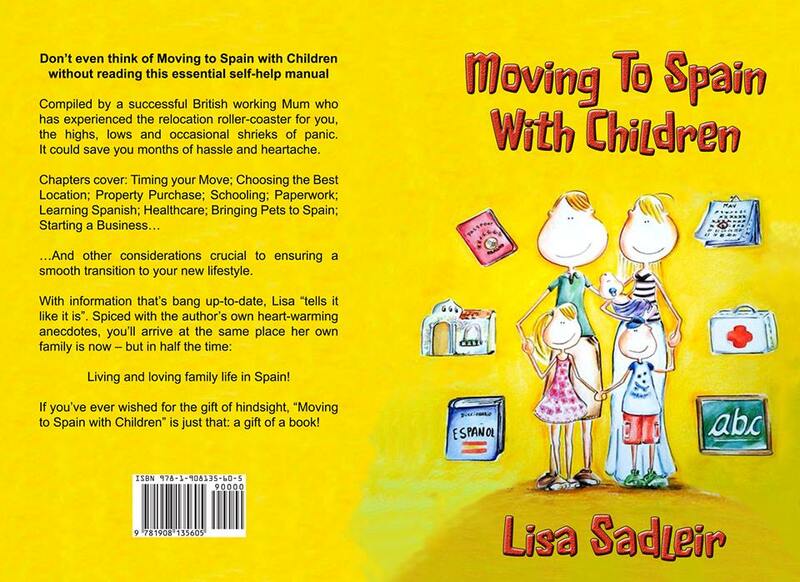 If you have ever wished for the gift of hindsight, “Moving to Spain with Children” is just that: a gift of a book! From where do I start? I always desired to live in Europe. As usual, we now have internet to find information. The problem is to separate good from bad information. As a amazing coincidence, my desire to live in Malaga converged me to Lisa Sadleir. My daughter just have born and I was looking for someone who as experience in this subject. Lisa’s book couldn’t be better! The book has a perfect approach, considering that it is not a ToDo Do It Yourself book or how Spain is wonderful (but it is, lol), it is a very helpful book to whom that want to know in advanced what are the main concerns when you intend to move to Spain. I bought it as soon as it was released and it worth it! 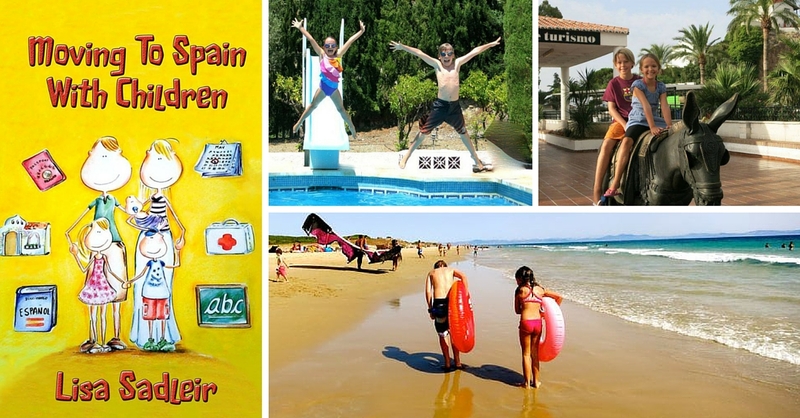 Don’t even think of Moving to Spain with Children without reading this essential self-help manual Compiled by a successful British working Mum who has experienced the relocation roller-coaster for you, the highs, lows and occasional shrieks of panic, it could save you months of hassle and heartache. Chapters cover: Timing your Move; Choosing the Best Location; Property Purchase; Schooling; Paperwork; Learning Spanish; Healthcare; Bringing Pets to Spain; Starting a Business… …And other considerations crucial to ensuring a smooth transition to your new lifestyle. With information that’s bang up-to-date, Lisa “tells it like it is”. Spiced with the author’s own heart-warming anecdotes, you’ll arrive at the same place her own family is now – but in half the time: Living and loving family life in Spain! If you have ever wished for the gift of hindsight, “Moving to Spain with Children” is just that: a gift of a book! Wonderful book and incredible resource. The author walks you through moving to Spain, the importance of timing, your location, the different types of education options and all the edu stages, their family story, and jumping through all the spanish red tape (residency, health insurance, NIE number, padron, starting a business, buying a property, transfer money, owning a dog). It is a quick read and a wonderful resource. The author is also approachable and willing to assist those going through the process of moving with a family. I have really enjoyed her book and it has been very helpful! written by a real person who understood the concerns of ordinary parents. It certainly put my mind at rest about a few things & also confirmed a few things I had already thought about. All in all a really useful up to date book for anyone thinking of making the move to Spain with children to consider (although it also offers advice that would be useful to people without children). If Lisa writes another book I will definitely be buying it.